Moving (Picture) Music: Max Frost & the Troopers, "Shape of Things to Come"
I have a weird attraction to fictional bands. There’s something strange and completely out of character about a band that is invented, either for a movie or television show or for some purpose of anonymity. While few have ever come right out and said it, most musicians pursue it for a level of fortune and glory. Therefore, being a part of a band that doesn’t really exist runs against the idea of being in a band at all. It may not ever be revealed who the members are when they are out of character. They will have extreme difficulty trading on whatever success does come from being in, say, The Rutles, Spinal Tap, and Stillwater because of the costuming superseding the work. 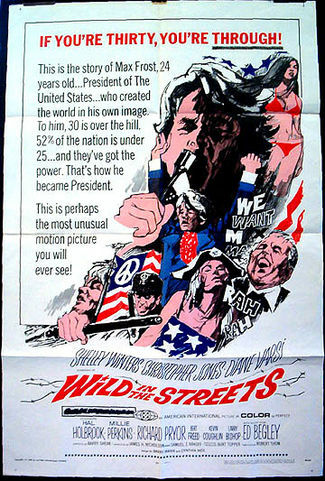 So it was in 1968 when the movie Wild In The Streets appeared. 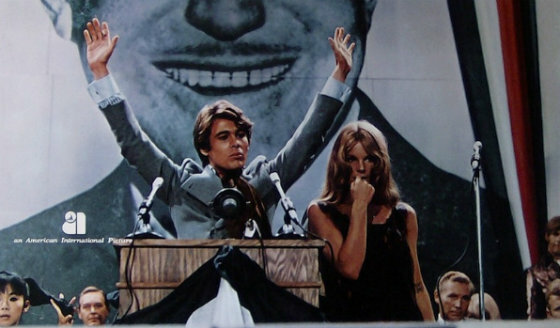 An American International Pictures release featuring Hal Holbrook and Shelley Winters, the exploitation flick focuses on pop star and presumed counter-culture revolutionary Max Frost, played by Christopher Jones. I knew nothing about this. 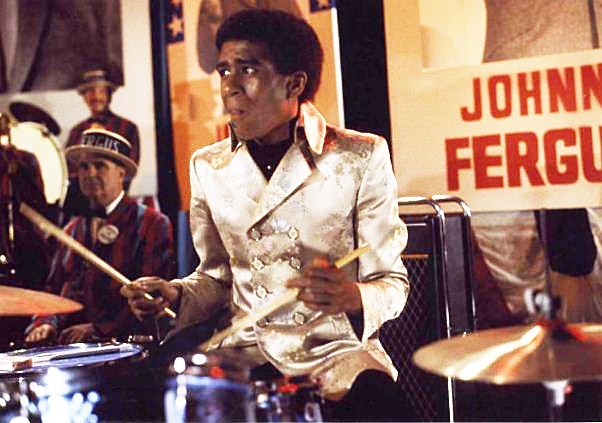 I didn’t know this movie existed, and I didn’t even know Richard Pryor played the role of Max Frost and the Troopers drummer Stanley X. In fact, when I read that factoid I had to Google “Richard Pryor Wild In The Streets” to make sure the Wikipedia entry wasn’t referencing a totally different man named Richard Pryor. I was wrong. It has to be said that no one in the movie played the music — unlike The Rutles where almost everyone except Eric Idle actually performed, and the same goes for Spinal Tap’s McKean, Shearer, and Guest. And yet one of the key songs from Wild In The Streets managed to become a hit and transcend the movie to the point where people actually could believe Max Frost and the Troopers was a real band. “Shape of Things to Come” was released as a single on the Tower Records label. The track wasn’t too far away from what was happening in ’68, displaying a psychedelic pop sound that paralleled real bands like the Strawberry Alarm Clock (“Incense and Peppermints”). The lyrics too had that rather pompous sense of warning that emanated from the counter-culture. You probably never heard it on the radio. It was a long time ago, after all. But you probably heard it roughly ten tears ago as part of a Target Department Store ad campaign. This is one of those frequently baffling choices that advertising agencies make, choosing a song based on the title — Target is the shape of things to come, right? — and not on what else is being sung in the track itself. “There’s a new sun rising up angry in the sky/There’s a new voice crying but not afraid to die” just makes you want to go out and by t-shirts and scented candles, don’t it? And those same advertising agencies also were likely oblivious to the news that there was no actual Max Frost and the Troopers. It is fascinating how purpose-built product can take on a life of its own from literally nothing, not even the foundation of an artist identity.